We had the most amazing winter wedding at Mudbrick - our guests continue to talk of the great food and wine. The location and venue requires nothing additional to make it truly special and memorable. The team are real wedding professionals - planning a wedding from overseas could be stressful, but everything went off without a hitch and with zero stress for us! Just wanted to say a HUGE THANK YOU to you and all of the team who were a part of our special day! All of the staff were absolutely amazing, and all of our guests, and most importantly our parents, have said how absolutely impressed they were with all of the staff, from setup, during the day and through to the next day's pick up of our stuff. I think one of the biggest compliments I can pass on was from my parents' friends, who said it was the best wedding they had ever been to! So Thank you so so much!! Martyn and I had the absolute best day, and we cannot thank you enough for the way everything flowed. Ben & I just wanted to say a massive thank you to you both and all of the Mudbrick staff that helped make our wedding day such a fantastic and memorable day. From the early planning stages through to the “execution” you were so fantastic to work with! You have made planning things from across the world so easy and have been so accommodating to our special German cultural touches (the wood sawing for example) and helping my parents to secretly organise this. You seriously went above and beyond anything that we ever expected! Especially the coordination on the day and that you were so flexible and could change the ceremony location within literally a couple of minutes was most amazing and something I think not every venue does. For me that made such a difference and I am so thankful especially to you, Beccy, for making this possible. You were so lovely to have around on the day and also to liaise with beforehand. I can’t rave enough about what a fantastic venue Mudbrick is to get married on and would only ever recommend you. The wine, meals and canapés were absolutely amazingly delicious and so many guests said to me afterwards that this was the best meal they have at a wedding by far and Ben & I second that. Exactly what we were hoping for and even better! We also appreciated you keeping the venue open so late and holding on to our cheese and place cards etc for us to pick up the day after. We seriously couldn’t have imagined a better place to get married and look forward to coming back in the future and celebrating many anniversaries to come. Again a huge thank-you to everyone that was involved in the day, the fantastic service staff, the amazing chefs, you both organisational wonders, the kind restaurant manager that sorted our wine-issue the day after... I probably forgot a lot of people behind the scenes at Mudbrick, so please pass on our warmest gratitude to them as well! We will only ever rave about our Mudbrick experience, such a fantastic team and beautiful venue and hope that many more couples will have a fantastic time tying the knot at Mudbrick!!! All the best and thank you again for making this experience as wonderful and amazing as it was! Thank you for such a wonderful wedding day at Mudbrick. It was everything we could have hoped for - and more. The ceremony room and the restaurant - filled with candles and flowers - were spectacular settings. The food was superb. The staff were fantastic. One thing that remains with us is how smooth it all was to organise, how professional Beccy and the wedding team were in the wedding preparation and how they somehow managed to make us feel so special – as though we were the only people who had ever had a wedding there! We are so happy to have chosen Mudbrick and would thoroughly recommend it. We just wanted to say thank you so much for everything you and your team did for us for our wedding. We had such an amazing time at Mudbrick. We absolutely loved the venue and food, and so did our guests. Thanks so much - we'll be back for a number of our anniversaries no doubt!! Winter Wedding Just wanted to say a huge thank you for an amazing night last Saturday. Everyone is raving about how amazing the service, food and location was and we really couldn't have wished for anything more!! Thank you for putting up with my million questions! And for handling the small army we bought along to our rehearsal. Thank you thank you thank you! Was such a lovely night. Thank you for the most incredible night. I never wanted to use the word "perfect" heading into the wedding, but that's exactly what it was. We wouldn't have changed a thing. The whole day - lead up, ceremony and reception - was super relaxed and it would never have been that way without you all. I realise you do many weddings, but we were treated from start to finish like we were the only ones... The organisation was perfect, your staff were incredible - so many people have commented - and the food was delicious. Even my very morning-sick friend was overwhelmed when one of the staff said the chef could make her 'anything she wanted' in the kitchen because she was struggling with the food. You all went above and beyond, and it was a day we'll never forget. Thank you so much. Having the wedding at Mudbrick was the best decision we made... and I have to say, it was far from a winter wedding! Luka and I would like to thank you for all your help on Saturday, as well as in all the lead up to the wedding weeks beforehand! You made everything so much easier, and thanks to you guys, everything went super smoothly on the night! I would like to extend my thanks to everyone involved in making our Sunday evening what we would have to class as one of the top dining experiences we have encountered so far. The weather was not exactly the best but inside was warm & inviting with friendly, well presented and attentive staff. I would like to personally thank James (the English waiter) for his table attendance, friendliness and food knowledge. Everything was impeccable and he made our evening! My complements also to the Chief & kitchen staff. The degustation was, in my partners exact words "one of the best degustation's I have ever had" and this is from someone who has travelled the world & eaten in some of the top restaurants around. I myself am a little less food cultured but I have to agree the food & entire evening was 5 star for us! Again my thanks to you, the staff & James for the evening & we hope to return again, hopefully during the day and with fine weather to check out the grounds and views as well have another fabulous meal. Steve and I just wanted to say a huge thank you to you and all of the team that worked on our wedding. We couldn’t have asked for a better day, and the hard work and effort that you guys put in was amazing. We felt so relaxed and thoroughly enjoyed the evening, and a lot of that is thanks to you guys for everything that you did. The attention to detail was just brilliant, to the set out of the ceremony area, the restaurant, even the platters the cake was put on! It really was just magical and we can’t thank you enough. Oh my goodness, I cannot thank you and your lovely team at Mudbrick enough. I may have handed out one too many hugs on the night to all of them, but am so grateful and thankful to all of you for the most incredible night. You accommodated all our last minute panics with such grace and helpfulness, so thank you so much! Providing the screen to see Grant's video message was absolutely perfect, it really felt like he was part of the night. The food, the atmosphere, the welcoming environment, and the way you turned on the weather for us was all just far too amazing. I could go on for days and days about how perfect I think you all are, but from the bottom of my heart - a huge thank you. I just wanted to say a huge thank you to the team at Mudbrick for helping to give Kade and me the most amazing wedding day! You are truly talented - you're so professional and everything ran like clockwork, despite the terrible weather! We have had so many comments from guests saying it was the best wedding they had ever been to and the best food they had ever tasted! Hugest compliments to the chefs! We will be sure to visit Mudbrick many times again in the future. Please pass on our thanks and regards to everyone who helped make our wedding magical and memorable. Take care and a special thanks! We just wanted to thank-you so so much for helping us organise & plan the most wonderful wedding! Just wanted to say that everyone had a great day yesterday - food & weather could not have been better. Thank you for all of your help in arranging this - it was very much appreciated. We have just come to the end of our great dinner at mudbrick. Fabulous food. Our lovely waiter Hardi was great and took some fab pics for us as well as serving us so attentively. Wanted you and management to know that we appreciate him. We had the most amazing day and were absolutely thrilled with Mudbrick. Thank you so so much. The food, the wine, the service, the venue were all fantastic. Just perfect. Just wanted to say a huge thank you for all your help! All the staff were amazing - our guests thoroughly enjoyed the venue, service and the food! I just wanted to thank all of the team for the excellent job you did for us. Aside from turning on some spectacular weather, every single one of our guests commented on the fabulous setting, the fantastic food, the detailed, yet unobtrusive service and how the whole event was just a seamless joy. Thank you for all the detail and attention you gave to the set up and presentation, our waiter was brilliant and while I thought I would still have to be organising on the day, everything just happened without fuss around us. Also a mention to all your responsive input and support and suggestions prior to the day, all via overseas exchange, which shaped the end result. This all culminated in us having a very memorable day and we would without hesitation recommend Mudbrick to anyone considering a function there. We hope to be back in the future! Thanks again, you were all stars. Just wanted to say thank you for your kind assistance with our wedding dinner. The Mezzanine was gorgeously decorated and the service was perfect. We highly appreciated Jason's assistance and professionalism. He was extremely helpful and paid high attention to all the details. Please, pass our kind regards to the Chef, as all the guests truly enjoyed the fine dining experience. Our dinner went really well and we are happy that we have picked Mudbrick as a venue for our Big day. All the best to you and all your team! Comment made by Alexia. (Function was in the Potager Bistro Private Room) The event last night went without a hitch. A great surprise for the birthday girl and everyone had such a lovely time. Appreciate all the great effort from Rebecca and her team. It was a good night. Just wanted to let you know, our lunch on July 10 was amazing the staff and food were exceptional. Every dish perfect the wine amazing! Thanks for making our wedding day absolutely perfect. The weather god's played their part and the as expected Mudbrick was sensational. The number of great comments on the food was incredible. Please pass our thanks and feedback on to the chef. 'Adorable Seaside Cottage' is gorgeous! Just loved the character of the property and made myself at home in the one-and-a-half chair in the sun. Ever-changing views from the lounge as the weather changed and boats sailed in for the weekend. Handy to the shops for a meal or just a walk after dinner. Lovely and cosy on the colder nights. Robyn and Jill were so easy to deal with. We had a wonderful stay in such a beautiful part of Auckland. I would like to thank you for the exceptional service provided on our wedding day 05.01.2015. From the detailed preparation before the day and for the day itself, the experience and dedication really showed. I feel that the day went that much smoother because of the attention to detail and the assistance you provided. We are fortunate to have had our wedding at Mudbrick and we couldn’t have asked for a more enjoyable experience. We will definitely recommend you to any of our friends and family that are requiring your services. Just wanted to let you know what an incredible evening we had last weekend. We have eaten at quite a few places on Waiheke over the past few months and I have to say you are the best. Food, wine, service and ambience was just perfect. I would just like to thank you for making our daughters 30th birthday a beautiful day. She and all the guests had an amazing time and loved the cake. We would recommend you to anyone. Thanks so much. A short note to thank you for the fabulous time we all had at Mudbrick. The venue was perfect...what a beautiful setting! The room was very special and looked wonderful. The food and service were second to none. The waitresses were so delightful and extremely efficient - please pass on our compliments. It was the perfect wedding venue and everyone had a wonderful time. Thank you all so much, it was a day my son and daughter in law will always remember and cherish forever. Every need of the guests and bridal party were met and accommodated. Re Seaside Cottage We had a fantastic weekend away! We found the beds comfy, the house well set up and the spa was awesome! Thanks again. Re Seaside Cottage We had a lovely time at your cottage, so thank you. You have it looking gorgeous! I sent photos to a friend and they are very keen to stay at some stage too! Thank you so much! Thank you so much for organising our luncheon! Everything was magic! Cassie loved her day out. Please make sure Gareth is commended for his wonderful attentive service. He was great! Just wanted to tell you how AMAZING our wedding day was!! The team at Mudbrick on the day were so slick and professional I could not fault them at all, I do this for a living and I was totally impressed as I have seen many events in my time - granted not my own wedding but still I speak from experience. The food was just incredible, I have people talking about it to this day so compliments please to the chef! The service staff were so friendly and accommodating - nothing was an issue. Again I would like to reiterate about how the entire lead up to my day was handled by you with such ease and worry free - which is what a bride needs. A big thank you to you for always answering emails and giving great advice. I will definitely be back to eat at the restaurant again next year!! Just wanted to say thank you so much for everything the staff at Mudbrick did to make our wedding so incredible! The venue looked absolutely amazing, with all of the candles, fires going, and table set-up, down to all of the small, personal details we had requested. All of our guests commented on how incredible the food was, and the staff were so lovely and helpful. Plus, thanks for accommodating my Italian friend, which was an amazing surprise! Just wanted to thank you for organizing our wedding. The food was amazing, the staff was great and everything else was lovely! Thank You! You helped us create exactly what we set out to, which was an experience our guests would talk about and remember for years. Everyone raved about the venue and the food! Justine and the staff on the night were superb and very attentive. Thank you also for all your help it co-ordinating everything! We couldn't have asked anything more from any of you. Just a quick email to say thanks so much for helping us to organise our special day. It is such a cliche but it really was one of the best days of my life! All our guests said that the venue was stunning and I am so grateful for all your hard work and the amazing help from the staff. I think those who visited from abroad were quite taken aback with the kiwi hospitality. One of my aunts flew in for the weekend from England. Chris and I will find any excuse to visit Mudbrick again so we may bump into you again. Hi Justine Thank you and the team at Mudbrick for such a lovely lovely wedding. Despite the rain it was still a magical setting. The food was beautiful. A big thanks for the vegetarian options - wow we are still talking about the yummy asparagus soup; amazing. A special thanks to the wonderful team working that night - they were absolutely lovely, helpful, professional and saw that everything ran smoothly. I also have to make a special thanks from my bridesmaid who was highly impressed at the special treatment given to 3.5 yr old son. And thank you for the breakfast voucher which we hope to use very soon next time we are back on Waiheke. Look forward to seeing Mudbrick again soon. Just a quick note to thank you for the wonderful evening we had on Saturday. Everything ran very smoothly, the food and venue were superb and we had a fun and relaxing time. Even the weather co-operated, and the sunset during the ceremony was the finishing touch. On behalf of our girls, their Mum and me (the wee husband), we would like to say a 'great Thank You' to you all at the Mudbrick Vineyard for making our lunch and afternoon on Saturday, a great success to celebrate Chrissy's birthday. Thank you. Hope to visit again. Cheers, Dave L.
I just wanted to send you a thank you for the lovely lunch we have at Mudbrick on Saturday. It was mum's 73rd birthday and we couldn't have asked for a more perfect day. The food was fantastic, we had a lovely table at the front of the restaurant with a stunning view and our waiter (French) was excellent. Everyone loved the day and raved about what an amazing spot you have. Thank you very much for our lunch wedding. All of us believe that we had the greatest time in our lives on the day. As you may know, the weather was perfect. Our family members were very happy with the delicious and beautiful lunch and your team's service and of course your wines - our family members purchased some bottles of wines at cellar door after lunch. They were moved by the beautiful view from Mudbrick Vineyard. 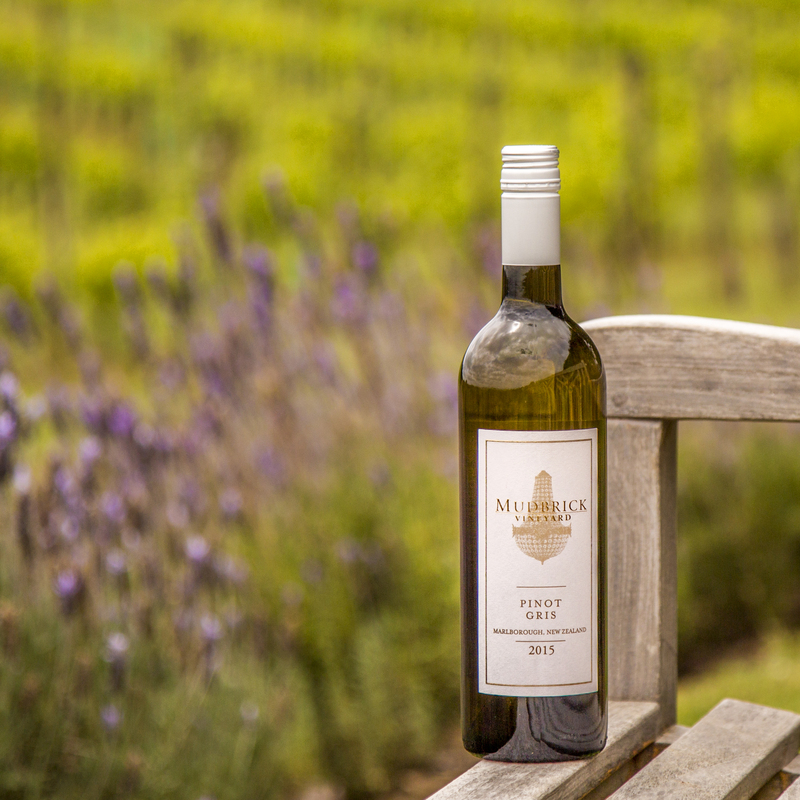 In the future, we hope we have our anniversary event in Mudbrick Vineyard because Mudbrick is the special place for us. Anyway thank you very much for your team's service for our special day. Just wanted to thank you for all your work and effort that went into putting together the group lunch that we had at Mudbrick yesterday. The venue was fantastic and the food was amazing, will be back for sure! Special thanks as well to Ashley who oversaw our group, a few people were commenting on how professional, pleasant and easy to deal with she was and this made the experience an even more enjoyable one. I didn't get to thank her before the group left, so if you could pass on my thanks that would be appreciated. Thanks again for making the experience such an enjoyable one. Just wanted to thank you all for our fab stay at Merlot Cottage. It was a surprise birthday present from my husband. Soooo loved everything about the divine cottage - I want to live there!! 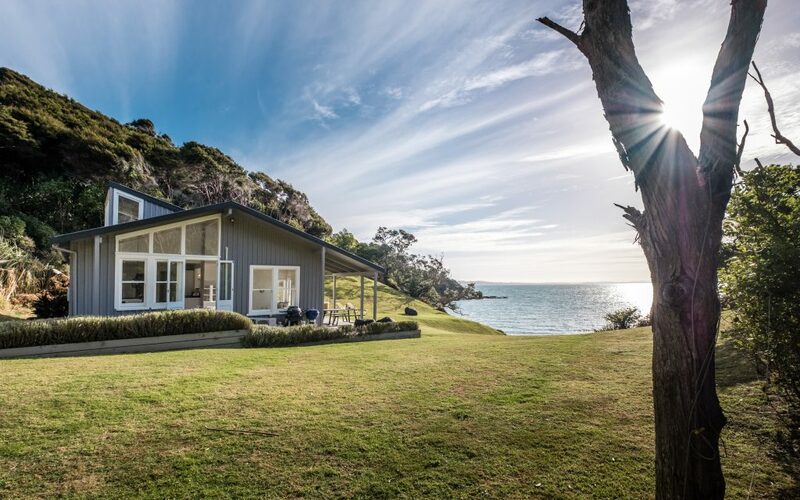 The beautiful decor, the magnificent position overlooking rural Waiheke, out to the Gulf and distant city. It has sun all day and beautiful sunsets. It was very romantic watching the sun set with a glass of superb Mudbrick bubbles. Dinner, by the fire in the main restaurant, we so enjoyed the beautiful and innovative food. Breakfast in the Archive with another gorgeous roaring fire and more amazing views, was delicious. We were so well looked after by everyone. A big thank you and could we start negotiations re the sale of Merlot Cottage to me!! !